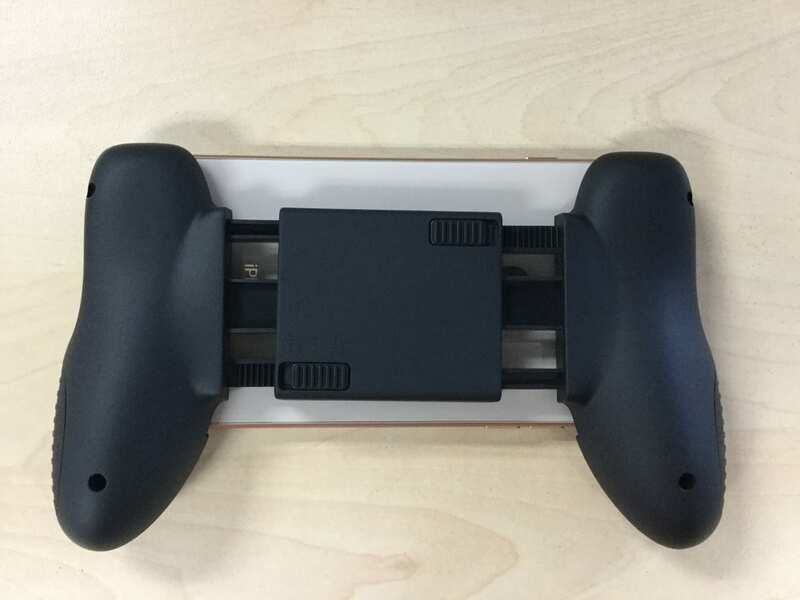 Samurai Gamers reviews the MobileGrip mobile gaming controller. Get to know our thoughts on the design, features, feel and function of this mobile device accessory and see how it handles to give the on-the-go gaming experience you're looking for! 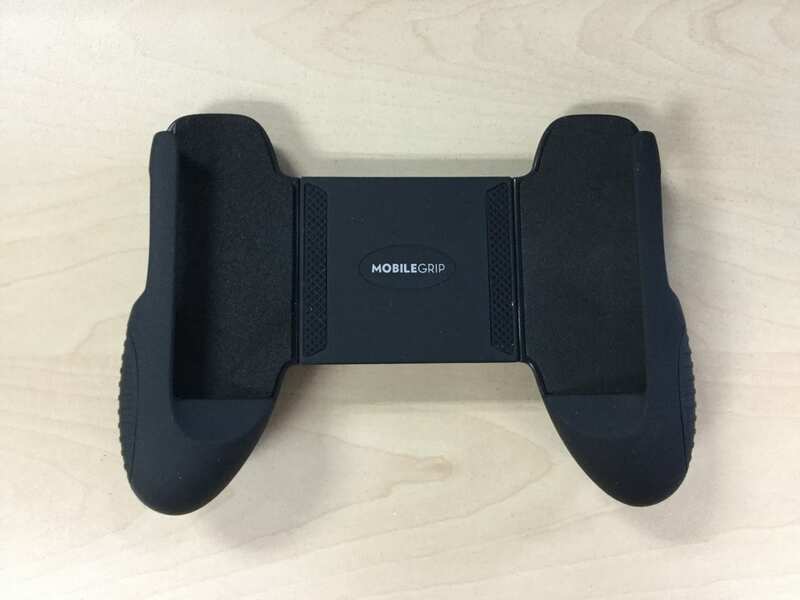 MobileGrip is a mobile gaming controller that boasts an ergonomic and very familiar look and feel. It’s a noticeably lighter gaming accessory than most of its rivals on the market with impressive build quality. 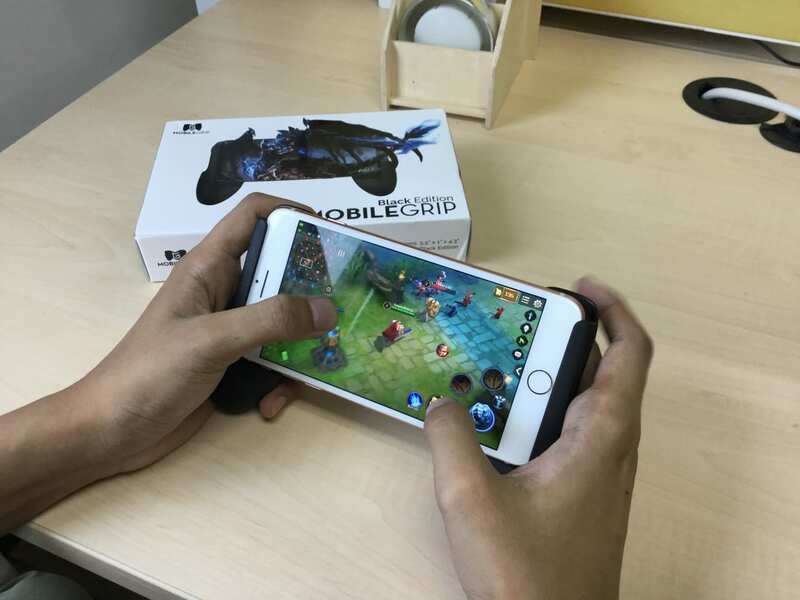 For gaming on the go, MobileGrip offers comfort for playing a variety of mobile games, as well as easy portability for its mid-range price point. Samurai Gamers recently partnered with MobileGrip. 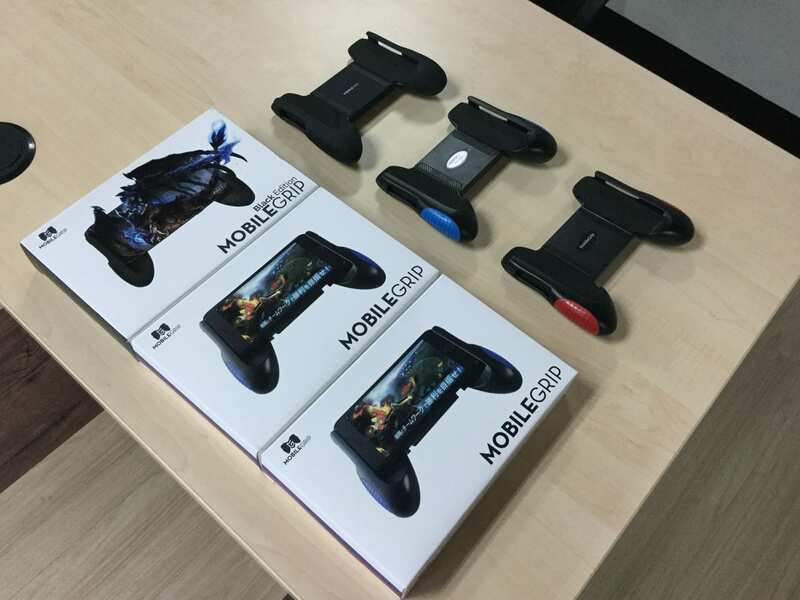 In this (admittedly partial) review, we go over the mobile gaming controller and give you a link for 10% off the device (https://www.themobilegrip.com/discount/SamuraiGamers). The MobileGrip is packaged in a neatly designed cardboard box. Immediately on the face of the packaging is the detailed graphic of the product. 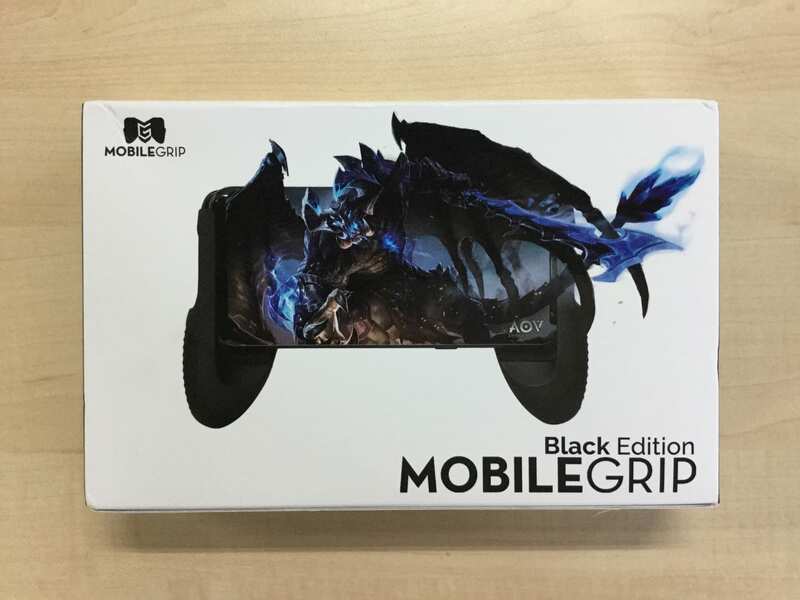 Pictured above is the MobileGrip Black Edition which features Arena of Valor’s Maloch on the design. At the back of the box are the MobileGrip’s notable features. They are rather straightforward and self-explanatory, so we’ll leave out further discussion in the next section on Design and Features. Out of the box, the MobileGrip rests on a sturdy plastic tray. The product is tucked in rather snugly on the tray, so a bit of effort is required to take it out. It doesn’t come with a manual, given that the product is very intuitive to use right out of the box. The MobileGrip features a very simple yet stylish design, one that’s very familiar to console gamers from all generations. The product is mostly plastic, with soft foam material on each of its inner faces to allow your device to dock snugly onto it. In the middle of the device are two synthetic rubber slats for improved comfort on the device. 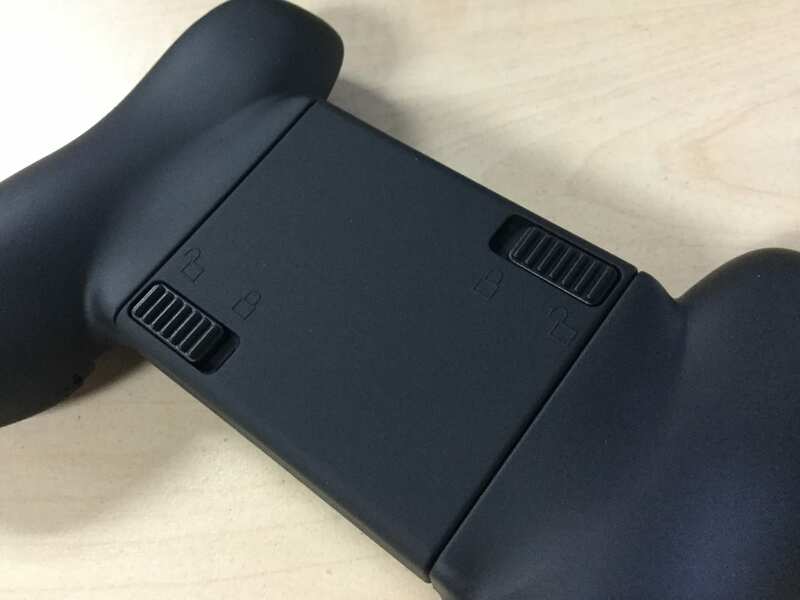 Two slits on each side of the controller allow your device to charge during play, as well as for connecting earphones. Of course, this aspect varies depending on the device brand, though the slits will be especially convenient for iPhones. At the back of the MobileGrip are two locking mechanisms, one at the top right and the other at the bottom left. You can unfasten these locks and adjust the width of the accessory to fit your phone. Then, just slide your phone into the MobileGrip and it will fit snugly into the accessory before locking it back in. The foam material and the synthetic rubber strips found inside prevents your phone from being scratched by the MobileGrip’s plastic surface, as well as keeping your device from sliding out of the accessory if you turn it upside down. The MobileGrip features ergonomic plastic grips with ridges in various colors. Besides the Black Edition, the other colors are Candy Red and Tidal Blue. However, the Black Edition feels more “premium” because of the rubber coating found on its grips, instead of the plastic kinds on the regular versions. The overall build quality is very good, and doesn’t look or feel flimsy in any way. At 5.5”x1”x4.3”, the MobileGrip is just the right size for bringing your A game on the go, whether you’re grinding through the ranked ladders of your favorite MOBA or duking it out with your squad in a fast-paced first-person shooter game. After docking your device onto the MobileGrip and holding it for the first time, you’ll immediately feel a natural comfort as your fingers come around it. Even if you’ve never touched a game controller before, the MobileGrip never feels awkward in the hands. The smooth plastic surface is actually very satisfying to the touch, enough to rival the sensation of handling controllers of current-generation consoles like the Xbox One or Playstation 4. The MobileGrip is also very light and doesn’t tire you out even when holding the device upright. 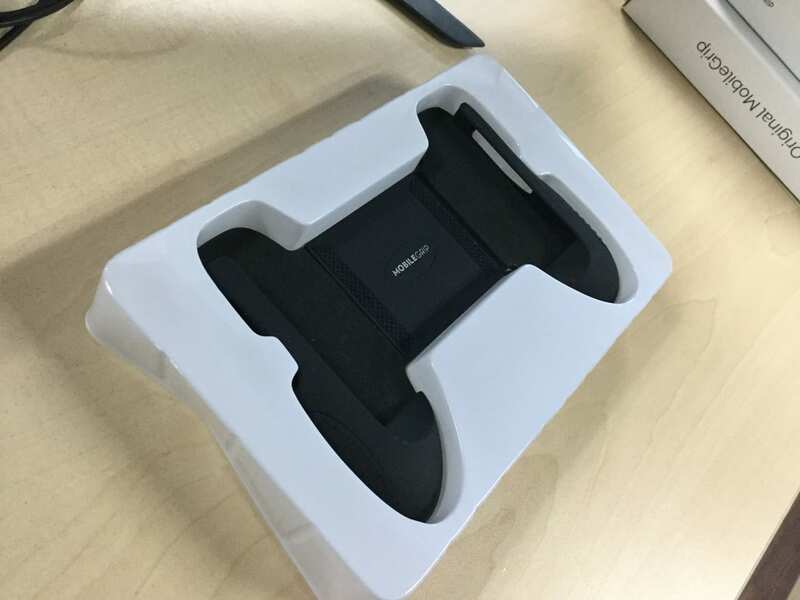 The grips’ ridges give your hands an even firmer hold on your device, convenient for users who tap their screens a little harder than usual and cause the device to slightly rock while playing. The adjustable side grips are very easy to spread out, with the springs having the right amount of tension to keep your device in place even without locking it in. This is an added level of security just in case you forgot to secure it with the locking mechanism at the back. The MobileGrip’s locking mechanism works perfectly and secures most mobile devices (especially iPhones) into the accessory. We’ve tested the MobileGrip on each of our team member’s smartphones at the Samurai Gamers office, which include an iPhone 8, iPhone 8+, Huawei Y6 and the LG V20. The MobileGrip effortlessly let our devices dock onto it without any notable issues, though it will not accommodate phones like the iPhone 5s or anything smaller. 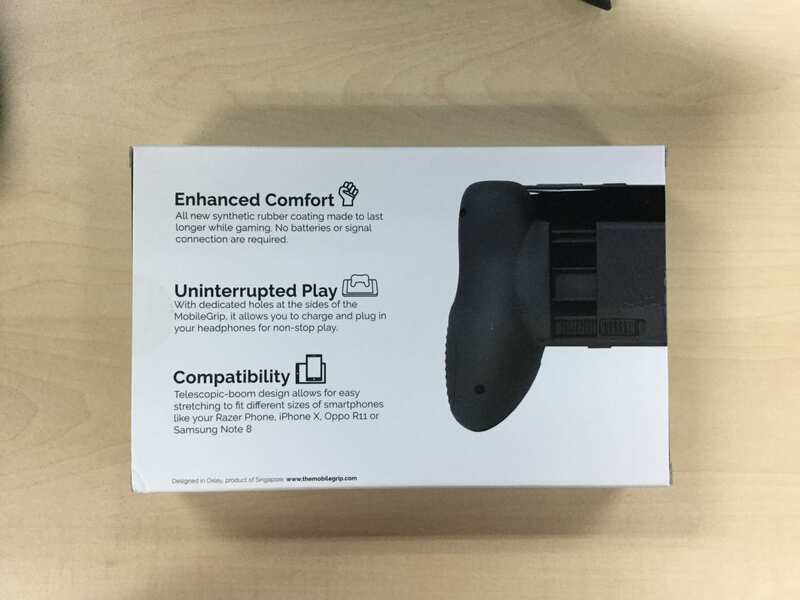 Overall, the MobileGrip is an exceptional mobile gaming device, providing maximum comfort when playing your favorite games, regardless of their genre. 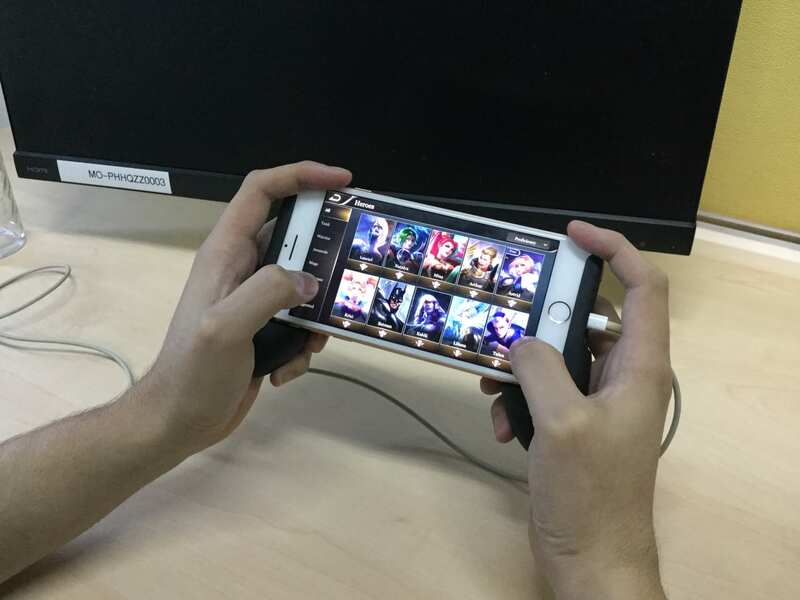 We have tested the MobileGrip on various competitive games such as Arena of Valor, Fortnite, Dragon Nest, PlayerUnknown’s Battlegrounds and even Clash Royale, Hearthstone, and Shadowverse. With full confidence, we can say that the MobileGrip handles any game extremely well, across a layout of different control and UI setups that vary from game to game. With exceptional build quality and an unmistakably pleasurable experience just having it in your hands, avid mobile gamers from all genres shouldn’t miss out on it. 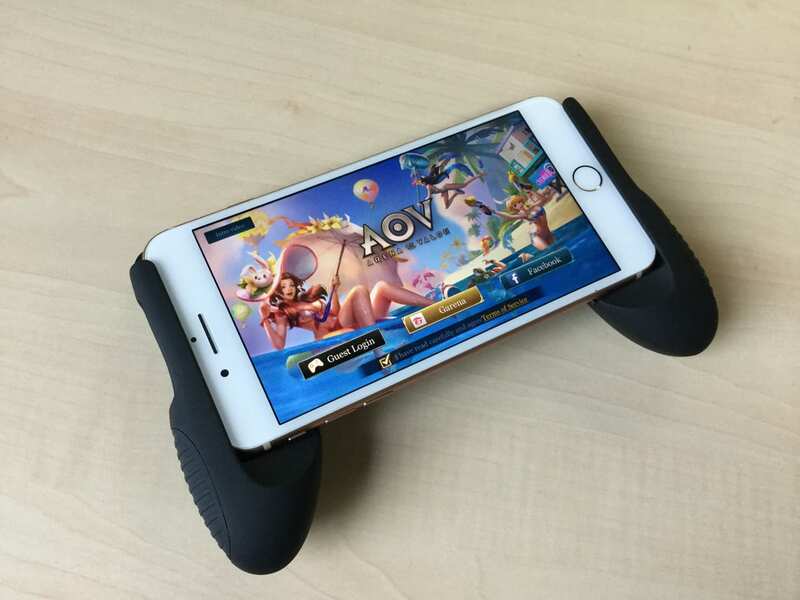 As an added bit of insight on the MobileGrip, there has never been an accessory that provides such a natural experience when playing Arena of Valor. The highly-competitive mobile MOBA feels uniquely fun when played on a console (as with the release of the game on the Nintendo Switch). We’re happy to say that this is as close as we got to emulating that experience on Nintendo’s portable console hybrid, without the different control interface. 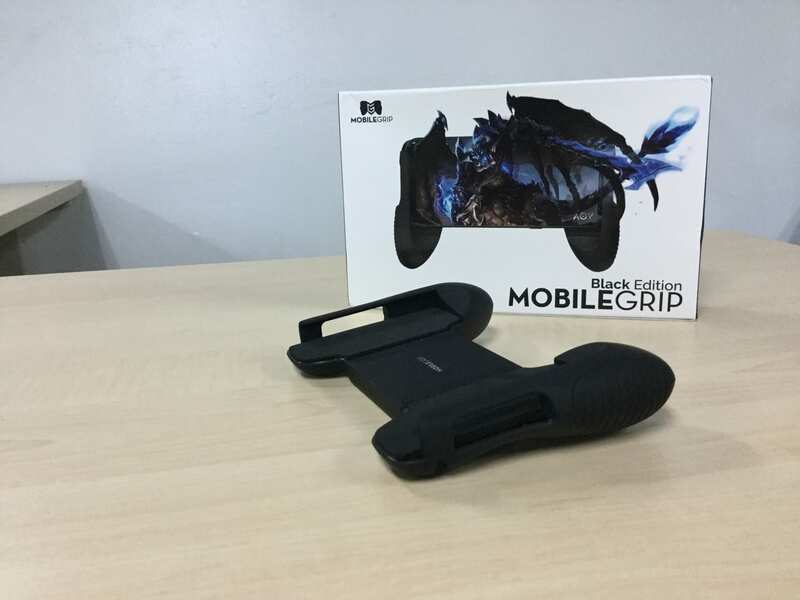 You can order your own MobileGrip and dive into more intense mobile gaming action with only the best comfort and functionality modern mobile accessories can offer today at https://www.themobilegrip.com/. MobileGrip starts at 14.90 USD for the regular version and 17.90 USD for the special Black Edition.